A long time high school soccer coach at Plainfield High School and St. Joseph Metuchen, Joe Colodne has joined Christa Racine’s Drew University women’s soccer coaching staff for 2015. 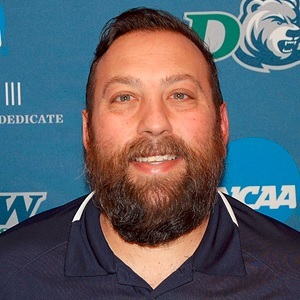 With a previous stint at Raritan Valley Community College as an assistant on the men’s side, Colodne has changed gears and has come to the women’s side of soccer. An accomplished club coach, Colodne comes with a wealth of knowledge based off of his involvement with his club program FC Copa. At FC Copa, he has led multiple teams to regional and tournament championships Several of his teams have been highly successful two of which have both reached as high as #4 in the State and #40 in the country. An eye for talent and a drive to win, his leadership and guidance have put a multitude of athletes in high-level Division I and III programs. Having been on the other side of recruitment, Colodne brings knowledge of the local and regional club scene to Drew and a knowledge base of coaches in the high school age teams. A 2002 graduate of then #25 ranked nationally, 4th Regionally (1997-98) Rider University men’s program, Colodne brings his knowledge base of goalkeeping to Drew. Having trained with fellow New Jerseyan and United States Men’s National Team member, Tim Howard, Colodne has been tasked with the goalkeeper core for 2015. Currently, Colodne holds a NSCAA Advanced National Diploma, NSCAA National Diploma, NSCAA Regional Goalkeeping Diploma and USSF National License and pursuing an NSCAA Director of Coaching Certification.